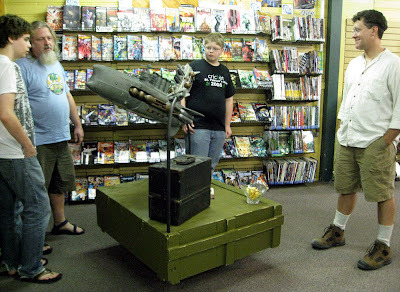 Local sculptor Behrle Hubbuch III (right) met with fans at Super-Fly Comics and Games during Third Friday Fling, August 19, to discuss his latest large-scale Steampunk ships, The Leviathans, created for Catalyst Game Labs booth display. 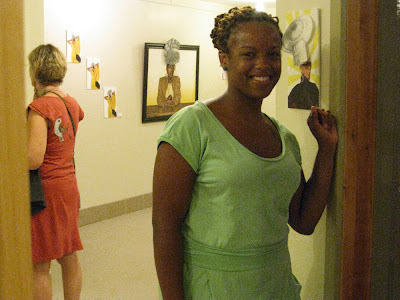 The Yellow Springs Arts Council presented “Hairitage: a Cultural Journey”, an exhibit of drawings and paintings by Central State University Art Instructor Erin Smith, as part of the Third Friday Fling. 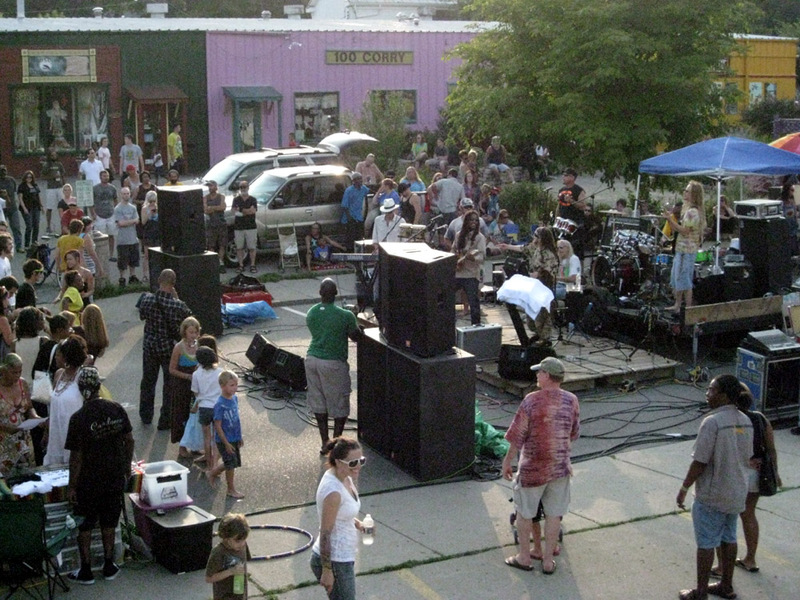 A Reggae Street Party took place on Corry Street on Sunday evening, August 21. Bands included SeeFari and Soul Rebels and special guest Pato Banton and the Now Generation.